A secure browser that protects your privacy is absolutely essential for staying safe online and keeping your data secure from third parties. Autofill information: names, addresses, phone numbers, etc. Aside from all of the data mentioned above, browsers can also expose your identity – even if you are using one of the best VPN services available. In other words, even when using a VPN to hide your true IP address and location, your browser may reveal your identity through WebRTC leaks or browser fingerprinting. Choosing the right browser, based on both privacy and security considerations, is crucial since your browser can reveal so much private information. With that in mind, we’ll first examine popular browsers to avoid. While some browsers claim to be secure against vulnerabilities, they may also be abusing your privacy by collecting your data, which is often shared with third parties and advertisers. First up on the offender list is Google Chrome. Google Chrome may be the most popular browser that is secure and hardened against exploits, but it’s horrible when it comes to privacy. At heart, Google is fundamentally a data collection company that works hard to know everything about you. This helps Google to dominate the advertising industry. For this basic reason, it’s a good idea to consider alternatives to all Google products, including Chrome. While it may be secure against exploits, Chrome is not worth the privacy tradeoff and handing over your data to Google. Edge is another browser that’s offered by a data collection behemoth: Microsoft. Just like with Windows, it’s a good idea to avoid all Microsoft products, including Internet Explorer, and their newest browser called Edge. Internet Explorer and Edge are also closed-source, so there’s no telling what’s going on behind the scenes. You can see above that Opera is explicitly stating that your data will be collected and shared with third parties. Additionally, Opera was sold to a large Chinese conglomerate and it’s not clear if there are any protections of user data under Chinese law – unlike, for example, with the GDPR in Europe. Security: How well does the browser protect you from hackers, vulnerabilities, and online exploits? Privacy: How much data is the browser itself collecting about you and who is this data being shared with? How does the browser protect your privacy? Just like with Tor, opinions about browser privacy and security can be wildly divergent and contentious, particularly in various online forums. This guide is not meant to sell everyone on the single “best secure browser” for 2019. Rather, it is just a summary of information about different web browsers that do well with both privacy and security. What is the best secure browser? Ultimately, there is no “best secure browser” that is the same for everyone. Instead, you should choose the best secure browser for you based on your unique needs and threat model. Firefox is a great all-around browser for privacy and security. It offers strong privacy protection features, customization options, excellent security, and regular updates with an active development team. The newest version of Firefox, Firefox Quantum, is fast and light-weight with many customization options. Out of the box, Firefox is not the best for privacy, but it can be customized and hardened, as explained in the Firefox privacy guide. Be sure to disable telemetry in Firefox, which is a feature that will collect “technical and interaction data” and also “install and run studies” within your browser. However, there are recent reports suggesting that Mozilla is still collecting telemetry data, even when disabled. Another great benefit with Firefox is the ability to use numerous browser extensions that will enhance your privacy and security. We’ll go over some of these extensions below. If you want to keep using older add-ons that are no longer supported by Firefox Quantum, you can go with the Firefox Extended Support Release (ESR), or one of the Firefox forks discussed below. If you want a privacy-focused version of Firefox for Android, you could try Firefox focus. For additional customization and privacy settings, check out the Firefox privacy guide. Waterfox is a fork of the open source Firefox browser, mentioned above. It may be a good browser for people who still want Firefox functionality, but without using standard Mozilla Firefox. After all, Mozilla has enabled telemetry options to collect user data with Quantum, while also collecting user browsing history through Cliqz. The main drawback with Waterfox, and other Firefox forks, for that matter, is slower security updates. Waterfox is based on Firefox 56, and although it will work with older add-ons, some may opt for the newer version of Firefox Quantum for security reasons. We offer complete anonymity. It’s a moral issue. You don’t want to feel that there is always someone looking over your shoulder when you’re online, so I removed all the tracking features. From a privacy perspective, Waterfox is much better than Firefox by default – especially for those who don’t trust Mozilla after all the recent privacy issues. But from a security standpoint, Firefox would be slightly better, due to faster updates. Nonetheless, Waterfox remains a popular Firefox alternative among privacy-focused users. Brave is a Chromium-based browser that is fast, secure, and very privacy-focused by default with a built-in ad blocker. The main developer behind Brave is Brandon Eich, who formally worked for Mozilla. For out-of-the-box privacy and security, Brave is a great option. The main drawback, however, is that Brave is based on Chromium. Chromium is the open-source code behind the Google Chrome browser – but with all of the proprietary and privacy-abusing features stripped out. One other drawback with Brave is that it is vulnerable to WebRTC leaks, but there’s a simple solution for fixing WebRTC with Brave. Keep in mind, however, that to effectively “block all fingerprinting” you will probably need to consider other factors as well. You can read more about Brave’s privacy and security features here. Next up we have the Tor browser. The Tor browser is a hardened version of Firefox that is configured to run on the Tor network. It is built on Firefox 60 ESR (Extended Support Release). By default, the Tor Browser is a secure browser that protects you against browser fingerprinting, but it also has some disadvantages. Another option is to use the Tor browser with a VPN service and the Tor network disabled. The instructions for this are in the browser fingerprinting guide. Be careful when adjusting the settings for the Tor browser, however, as this may compromise the browser’s privacy and security functionality. Get the Tor browser here. 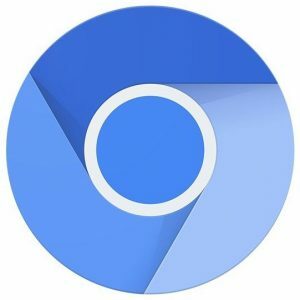 Ungoogled Chromium receives regular Chromium security updates. 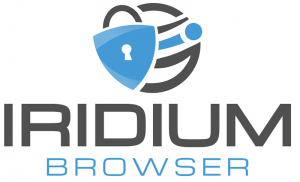 Iridium Browser is based on the Chromium code base. All modifications enhance the privacy of the user and make sure that the latest and best secure technologies are used. Automatic transmission of partial queries, keywords and metrics to central services is prevented and only occurs with the approval of the user. In addition, all our builds are reproducible and modifications are auditable, setting the project ahead of other secure browser providers. Our ambition is to get builds for Debian, Ubuntu, openSUSE, Fedora, RHEL/CentOS, Windows and macOS a couple of days after a new release of Chromium. To achieve this, we need help from individuals and organisations who have the same intention. Currently, there are weeks between a new release of Iridium and Chromium. Get the Iridium browser here. Pale Moon is another open-source fork of Firefox, based on older version of Firefox (Firefox 38 ESR). This gives it the look and feel of an older browser. While Pale Moon does support some older Firefox add-ons, many of the newer extensions are not supported. Similar to Waterfox, Pale Moon strips out all of the dubious features of Firefox that undermine user privacy. Pale Moon is based on Goanna, rather than Gecko, and is available on Linux and Windows. The user interface is also very customizable, although it does feel a bit dated. Opinions on Pale Moon are mixed. Because it’s based on an older code base, some consider Pale Moon to be sub-standard in terms of security. There was also some controversy over Pale Moon blocking AdNaseum, an extension that generates “noise” through false advertisements “clicks” while the user browses different sites. There are also a few options that are worth mentioning, even though they are not recommended. On a positive note, however, Apple does somewhat better with privacy than other large companies, such as Microsoft and Google. The Safari browser blocks third-party cookies by default and also implements cross-site tracking protection. Vivaldi is a Chromium-based browser with source-code modifications that can be seen here. It is less popular than other browsers, with less active development than Firefox, for example. 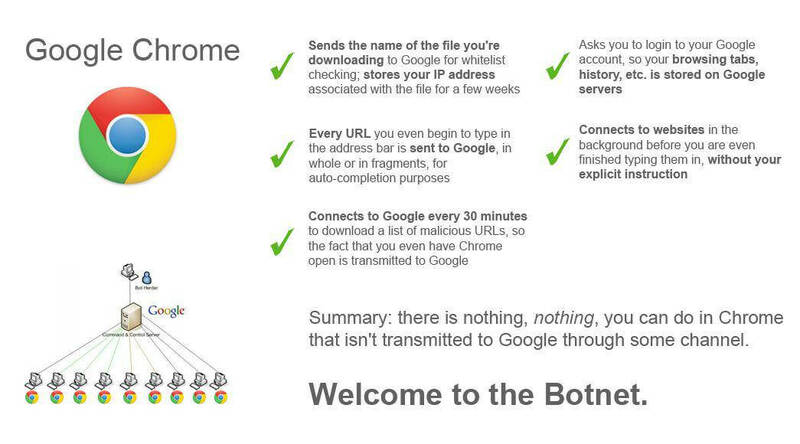 Being based on Chromium, it is also vulnerable to WebRTC leaks. Being assigned a unique ID and the inability to opt out of this data collection are good reasons to avoid this browser. One problem that often comes with browser privacy and security is that people want to remain logged in to various accounts, while also browsing the web. This is problematic because it allows these sites to track your browsing activity and link that up to your identity. For example, with Facebook and Google products. Browser #1 will only be used for accessing your online accounts that require a password. Browser #2 will only be used for web browsing, with various privacy configurations (private mode) and no cookies or history being stored on the browser. Browser #3 could be completely locked down for maximum privacy and security. You can also utilize different browsers, configured exactly the way you want, for various use cases purposes, depending on your needs and threat model. The key is to keep the compartmentalization strict and not break the rules/uses for each browser. Password managers – It should also be noted that storing your passwords in the browser may be risky depending on the browser you are using, especially since browsers typically store this in cleartext. A better alternative would be to utilize a secure password manager, such as KeePass or LessPass. In addition to adjusting the settings within your browser, there are also a number of different add-ons or extensions you can install to improve the browser’s privacy and security. uBlock Origin – This is one of the best browser-based ad blockers available that will also protect you against tracking. HTTPS Everywhere – An add-on from the folks at Electronic Frontier Foundation, this will force websites to use a secure HTTPS encrypted connection (when available). Privacy Badger – Privacy Badger is also from EFF that blocks spying ads and trackers. Cookie Autodelete – This will automatically delete cookies that are no longer needed from your browser. Decentraleyes – This protects you against tracking via content delivery networks. uMatrix – This gives you control over all the requests that may be tracking you as you visit different websites (extensive configuration necessary). NoScript – NoScript allows you to customize exactly which scripts run on the websites you visit. Like uMatrix, this is for advanced users and requires lots of customization, since it will break most websites by default. Random User Agent – Available for Firefox and Chrome, this add-on will cycle through various user agents, allowing you to spoof different browsers and operating systems (see their GitHub page for more info). Warning: Be cautious about using third-party add-ons and browser extensions. Many of these function as spyware and will collect your data for profit. This is especially true with free VPN or browser proxy add-ons, even if they are highly-rated in the Google Play or Apple stores. Do your research before installing any browser add-on or extension. 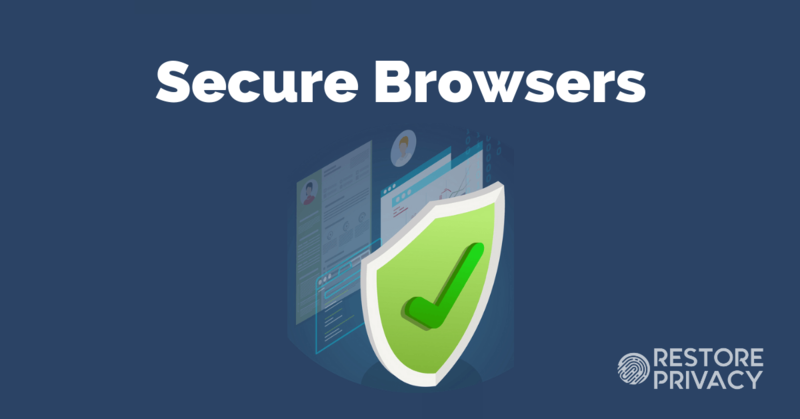 A well-configured secure browser is crucial for protecting your data as you browse the web. This is simply because most browsers contain vast amounts of private data by default, which makes them ripe targets for exploitation. A secure browser – Any of the recommended browsers in this guide will do. A good VPN service – See the best VPN guide for the latest info; both ExpressVPN and NordVPN remain among the top recommendations. An advertisement and tracking blocker – See the ad blocker guide. In terms of privacy, you may also want to protect yourself against browser fingerprinting and WebRTC leaks, which can expose your identity even when using a good VPN service. All of the secure browsers featured in this guide are customizable and can also be used with various add-ons to further enhance your privacy and security. Last updated on February 25, 2019. @Mary Peterson SEPTEMBER 24, 2018 had a similar question about the EPIC browser, (scroll to bottom of comments here, then up). You will find the replies of Sven, Richard and George on Epic. Feel free to give a response there or here if you have something of value to add about Epic. thanks for your site, is a light in the darkness. I would ask you about firefox and lockbox. Is lockbox a good option in order to keep yours password safe?, is as good as other password manager like keepass or lesspass? Hi Jack, I need to look into Lockbox more, perhaps a good option for mobile users. Spellcheck in Firefox seems to be a privacy concern. [b] services sync.prefs sync.layout spellcheckDefault [/b] modify boolean to false. [b] services.sync.prefs.sync.spellchecker.dictionary [/b] modify boolean to false. Looks interesting and when Sven’s the time may respond. May even add this to the Firefox privacy guide as note worthy. Firefox Focus is a privacy-focused browser from Mozilla, available for the Apple iPhone, iPad, iPod touch mobile devices and Android smartphones and tablets. It is also known as Firefox Klar in German-speaking context in order to avoid the ambiguity with the German news magazine FOCUS. On Android, it uses Blink engine, unlike Firefox for Android, which uses the same Gecko engine as its desktop version. Blink is part of open source chromium. I dont see as many configuration options though as normal firefox. Not sure if this browser can be hardened or if its just a marketing gimmick to further collect userdata. “browse like no-ones watching” makes me skeptical. For now, ill stick with regular firefox until I hear an update from you concerning it. Thank you for making this wonderful website. To correct the previous comment on Firefox Focus: since version 7 (oct 2018) this browser uses Gecko like the other Mozilla Products, and not a Google engine anymore. Thank you Sven Tayler, I really appreciated this article, and thank you again to your hard work of collect all this data about different browsers. I liked the different Add-ons segment too much. – Very small, unheard of browser, which raises questions. – Claims to offer a browser VPN, which is simply not true. They may offer a proxy, but it’s not a VPN. – What’s the business model? How are they making money? Is your traffic being collected and sold when you use the “free VPN” in their browser? Things to consider. I’d consider other alternatives. Another reason not to use the Vivaldi browser: The manipulate some URLs you enter. For example if you visit booking.com they redirect you to their affiliate link of booking.com to make sure they get a provision. Do you know anything about the Beaker Browser? Hmmmm… a new kid on the block! Not sure this is a privacy oriented app in truth… guess time will tell. Look forward to Sven’s input when time allows. What about Chromium for Linux? I don’t see it neither among the “avoidenda” nor among the “suggested”. Should I consider it “avoidendum” as Chrome ? I’d instead opt for ungoogled chromium. It would be interesting to have some information on other browsers which make claims about their privacy credentials, like Epic, JonDoFox and Comodo’s IceDragon (based on Firefox) and Dragon (based on Chromium). Some third party apps also claim to change your browsers’ fingerprints at times. Do they work? If they do, does that make browser compartmentalisation redundant? I.e. products like Abelssoft’s AntiBrowserSpy, or any similar products from companies like Ashampoo. These are two additional websites that I would suggest to use in order to test how secure and how private is the used browser. Particularly the first one, it indicated me only 1 critical issue in Brave and 5 in Firefox. However, it did not tell me how to fix those issues. Please come over to ‘Privacy Tools’ and offer in how you, or what you use as installed programs or the browser extensions used – for other peoples knowledge. I offered mine there as, how I try to guard my privacy. Vector, ever herd of the TRACE browser extension? Using either Chrome or Firefox browsers or (variants) of each, you may want to have a look at the browser extension ‘TRACE’. Claims to leave almost no traces in your online Browsing. AdGuard – installed program offers many lists you can add to filter the web of how you want too. -AdGuard blocks all ads including video ads, interstitial ads and floating ads, pop-ups, banners, advertisements, and text ads. Element blocking feature allows blocking of ANY unwanted element on the page. -Privacy protection and safe browsing, AdGuard protects your personal data by blocking common third-party tracking systems, spyware, and adware. In addition, it warns you about malicious and phishing websites once you try visiting them. -Handling Anti-Adblock scripts, AdGuard can handle Anti-AdBlock scripts. You won’t have to turn off the AdBlocker anymore to be able to visit the websites that are using such scripts. 548 Market Street, #45514, San Francisco, CA 94104. For many that affect of it’s location and then of their TOS / PP aptitude may be a key roll in considering their privacy model. I use all the above mentioned add-ons: uBlock Origin, HTTPS Everywhere, Privacy Badger, Decentraleyes, Cookie Autodelete, uMatrix/NoScript (Brave/Firefox), and Random User Agent. Additionally, I use NoCoin, Privacy Settings, Ghostery/Disconnect, and Privacy Possum. I would test Trace and hope it would work efficiently. Hi Vector, if I’m understanding the right meaning of your “mentioned add-ons: uBlock Origin, HTTPS Everywhere, Privacy Badger, Decentraleyes, Cookie Autodelete, uMatrix/NoScript (Brave/Firefox), and Random User Agent” – those mentioned deal with your choice to use all of these browser addons together – right ? Doesn’t that add a lot of overhead or baggage to your browser(s) ? Browser addons (extensions) that block scripts and website tracking functions and/or for fingerprinting and the likes of image canvas data access to protect you. – In reality, there is no combination of extensions, their settings – changes to a browser with addons, which would provide the same level in protection and your privacy as an all-in-one instance to your system from an installed application – Sir, would that be a mostly true assessment ? There’s no such one I know of but, Adguard installed to my system as most part takes care of it for me without a slew of addons needed in my browser. It’s Stealth Mode has good points to consider. I then know to when it makes contact to it’s home base – unlike browser addons phoning home which I know of no way to know about. After all, using Incognito Mode – Browser addons – VPN, your browsing history is easily accessible (via your DNS cache) upon a browser window being closed. Then since, the browser addons (extensions) would see the websites you’ve visited, as these extension services promote themselves on filtering security which inevitably means they are gathering data – your data. Besides who knows (least me), how they update when new threats evolve. Then with a slew of so many to keep track of in their TOS and Privacy Policies changing, or being sold behind public channels to someone (which has happened) to not respect their users privacy anymore. – Logic leads to a blueprint in one’s thoughts, and then a hands on aptitude leads to the hardwired applications of the users experiences. Both are needed or complements the other in the long run of ones life. How do you like the trackers-blocking extension Disconnect? It was updated two years ago but I guess the trackers lists are maintained regularly. Not sure, I have not used/tested it. I think that you have mentioned the most important extensions – I use all of them. So, Disconnect is a kind of a supplement to those add-ons you listed. I do use also No-Coin which just makes me relaxed that some of the pages I temporary allow with NoScript are not going to mine. Also, I use Privacy Settings which is a bit short-cut toward a more privacy settings without the need to do it one by one. They have completely lost my trust, they take money from Google, and it seems there’s a new scandal every month, requiring more “tweaks” to fix. Time to abandon Firefox. I’m still looking for the “ideal” privacy browser. I tried all that Sven mentioned above. Only TorBrowser hides [most] of your browser and PC information like screen size. Unfortunately, it’s not perfect but it seems to be the best I have found. I’ve just started trying out Brave and since it’s Chromium based it has “Site Isolation”. Now, does site isolation serve the same purpose as browser compartmentalization? After settling this initial confusion, and with some additional research, I see the difference now. Thank you for your response. The Tor Project has always declined to base their privacy enhanced browser on Chromium despite requests and its attractions, due to what they consider unfixable privacy issues. You are correct that NoScript runs by default in Tor browser. However the default TB configuration (which is the least private/secure in order to minimize website breakage) does NOT block scripts despite NoScript running. NoScript still has some functionality and benefit without activating the script blocking that it is named for. Even TB’s middle level selection of privacy/security only activates script blocking for non-httpS websites. You apparently read the same article on Waterfox that I did but I was less impressed with the developer’s new-found “morality” of privacy. He frankly states that he created Waterfox to be a speed demon. When you state: “Password managers – It should also be noted that storing your passwords in the browser may be risky depending on the browser you are using. ” … which browser has the best/most secure password manager built in? Additionally, which stand-alone password manager would you recommend for macOS? I need to look into this more – and I will with my upcoming password manager guide. But since you brought up Mac OS, Safari is an interesting exception, because unlike other browsers, passwords are stored encrypted in the keychain app, rather than in the browser itself. In Safari you’ll see that your passwords are also password protected and encrypted if you want to access/modify them. So to answer your question, Safari browser on Mac OS may not be a bad option, but a separate password manager app, such as Keepass, would be better. Anyway… if I may restate Sven: Which browser has the best/most secure password manager built in, in your opinion? FF/WF/Brave? Please advise! Cheers Sven!!! No clear answer to your question yet, this is a big topic I’ll address in the password managers guide. You could also use a third-party password manager extension within Brave or Firefox/Waterfox. Great site, very informative. Thanks for all you do. Are you familiar with Slimjet [https://www.slimjet.com/]. If so, how secure is it? It looks like a smaller, Chromium-based browser. I’d go with something more mainstream and with more active development, for security reasons. Hi Sven, Heck I’m no expert and want a browser to work as intended on install without a lot of fussing in the settings. Needing and relying on external plugins in part or whole for the user protections. I don’t even have to sign in to it, just do a quick simple review of the settings set, and make any adjustments I deem worthy. SlimJet appears to have active ongoing development as other mainstream browsers. Rebuilt from the open-source Chromium project, Slimjet doesn’t send any usage data back to Google like Chrome. On top of that, Slimjet is armed with the most advanced anti-tracking technology to thwart various attempts to invade on your privacy (e.g., track your identity or profile your behavior) by the intrusive businesses. A full featured browser your way. Sven please do an in depth review of Slimjet sometime, tks. I have a Macbook and ever since Safari newest release came out last month I was unable to add uBlock Origin + other options back…Apple came out with their own restrictions. I will give new browsers a try. Which is the best browser to watch Youtube videos on?? Hi Jodi, I prefer Firefox or Waterfox, which will both work fine for Youtube. Do you have any opinion on Vivaldi? I see a lot of people mention that but from have not found a lot of reliable information on their privacy. I don’t believe it is open source. Thanks Sven Taylor. What about best browser for android for privacy ? Can you Please write a article on it. I would add to Brave browser the new Private Tab with Tor, which increase privacy to a new level for most of us non technical web surfers. It gives real privacy vs other methods. What is your opinion on Brave Browser BETA? It just been released, and it seems Brave encourages users to use that version. Also, would you suggest using the Brave Browser on Android? I’ve never tested Brave on Android, so I can’t say for sure. The Brave BETA version should only be used for testing, until the full version is released, as they said in their announcement. I don’t know much about Epic browser, other than that it is based on Chromium and is offered by a company called “Hidden Reflex” that’s based in India. It’s average at best. It’s not even close to the other Browsers here. Kind of funny seeing Sven’s comment about Epic… I bet the man, in 15 minutes flat, could know more about that browser than any of us would. Just not of interest to him, I assume. Richard’s feedback is probably accurate, though somewhat bland and dismissive. I don’t blame him either as he does have a valid point re the browsers listed above. The only problem I see – and please keep in mind I’m just a simple guy who uses the Internet as a regular consumer = not even close to Geek material – is that it’s a ‘closed shop’ browser = who the Hell knows what it really does and doesn’t do re privacy and/or anonimity! You can search Epic, but I think what the 2 gentlemen are stressing is that it simply isn’t as good as the other browsers listed above that are constantly contributed to by many Super/Uber Geeks and get regular updates.